Hybrid’s spring events circuit kicked off last week at the London Poultry Show hosted by the Poultry Industry Council in London, Ontario, Canada. The Hybrid team was fortunate enough to attend and participate in this annual trade show. Did you miss this year’s show? Below, we report on the newsworthy events from the show. The 60th London Poultry show was an overwhelming success. 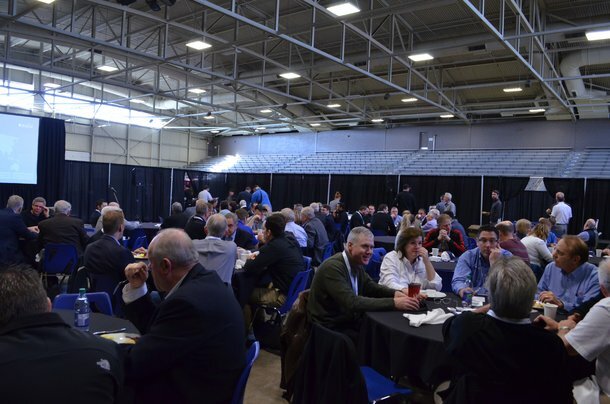 Growers flocked to the two-day trade show to expand their knowledge, network with industry professionals, and learn about the products and services that drive success in the poultry industry today. Hybrid kicked off the show with an industry breakfast that drew over 100 grower partners and industry representatives. 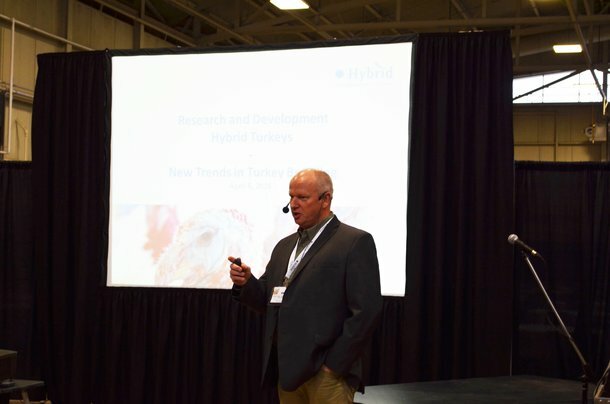 Scott Rowland (General Manager, Americas) discussed Hybrid’s plans for ongoing and future investments in the North American turkey industry, discussing our recent investment in the American supply chain, as well as Canadian facility upgrades. Scott also introduced the Young Growers Club, a new Hybrid Turkey’s initiative which supports the next generation of turkey growers. Following Scott’s update, Nico Buddiger (Director of R&D) outlined the importance of selection pressure at various levels of production. Throughout his presentation, Nico highlighted the importance of ongoing investments in the turkey industry, while also shedding light on the value that our distribution partners provide to growers across the industry. 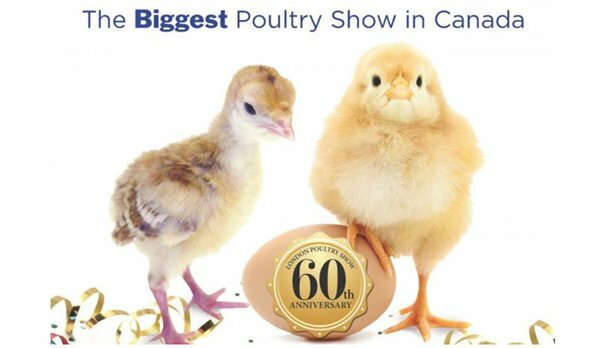 Thank you to the Poultry Industry Council for organizing another successful London Poultry Show! We’re already looking forward to next year’s event. Until then, catch up with the Hybrid team this spring at VIV Russia or find out where we’ll be next by following us on twitter at @HybridTurkeys.